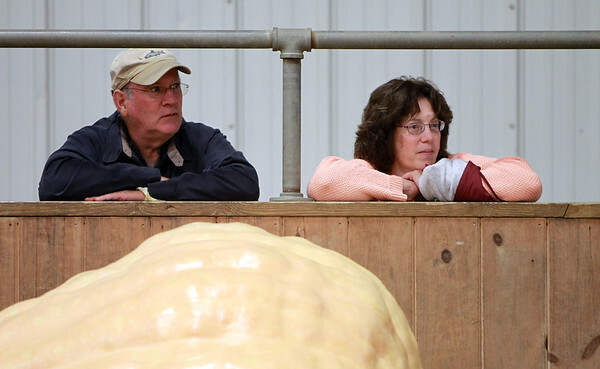 Bruce and Gail Clement, of Whitman, MA, observe the pumpkin weighing competition peering over the fence of the Arena at the Topsfield Fair on Friday evening. DAVID LE/Staff photo. 10/3/14.